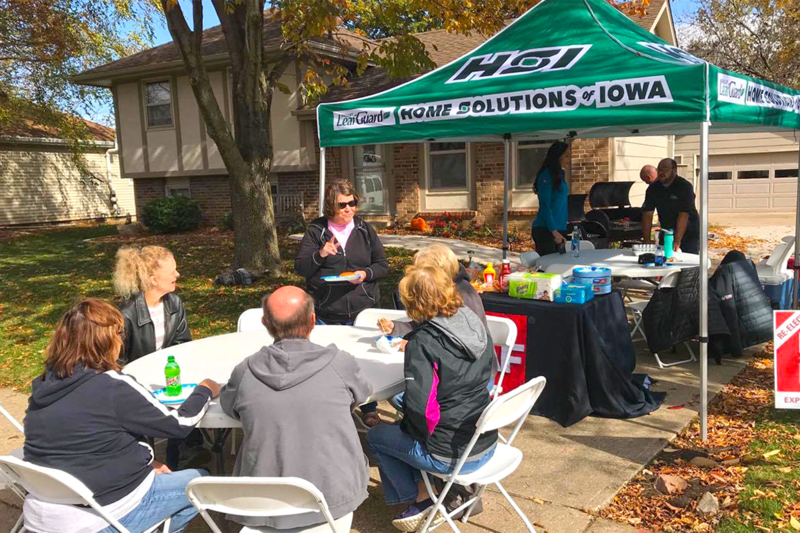 Home Solutions of Iowa, along with sponsors Fareway Food Stores, Pepsi Beverages Company | Midwest Region, and national campaign No Roof Left Behind, celebrated a successful roof donation with Adel resident Tricia Croushore. 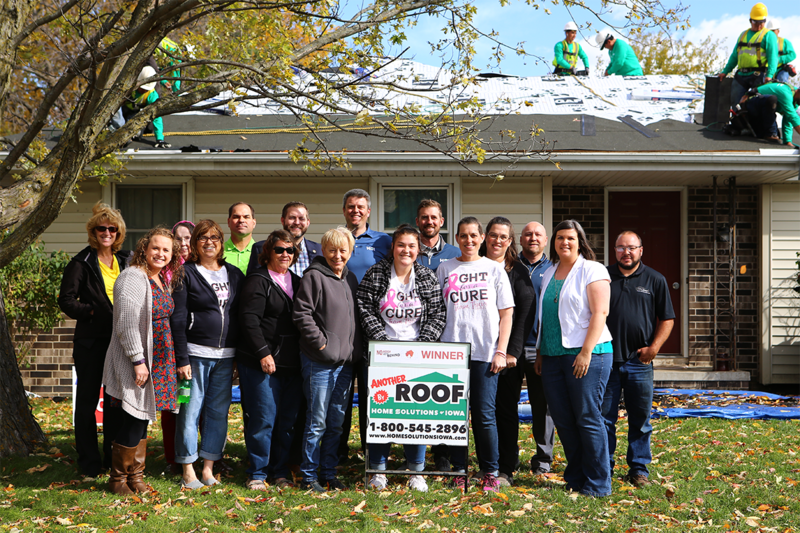 This spring, Home Solutions of Iowa teamed up with No Roof Left Behind and held a contest that spread across nine Iowa counties. Nominations were accepted for many deserving families, with one winner being selected in September. 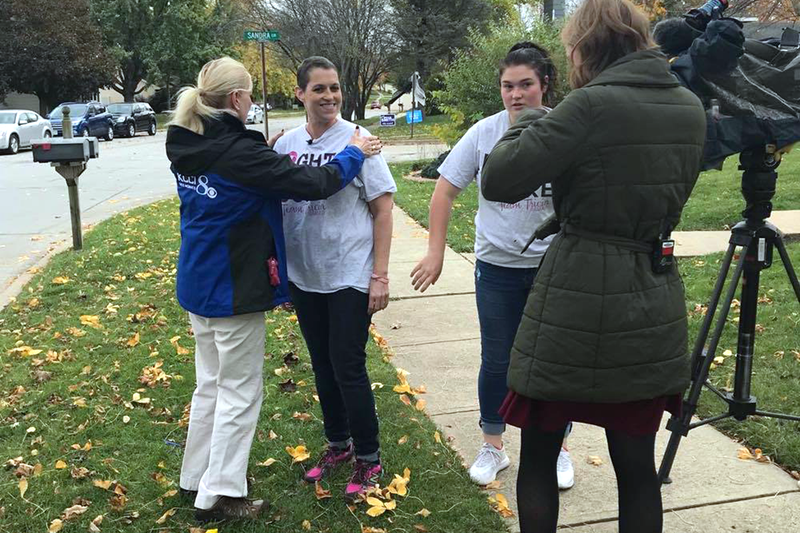 Tricia, a lifelong Adel resident and single mother battling breast cancer was ultimately chosen to receive the new roof. Tricia was diagnosed with breast cancer earlier this spring, and endured a partial mastectomy, along with reconstruction this past summer. She is currently finishing up radiation. Throughout it all, she has maintained her positive energy and passion for her family and life. While going through this journey she has not been earning her regular income, which has limited her ability to do more than provide the basic needs for her and her family. Her roof was leaking and in very bad shape. 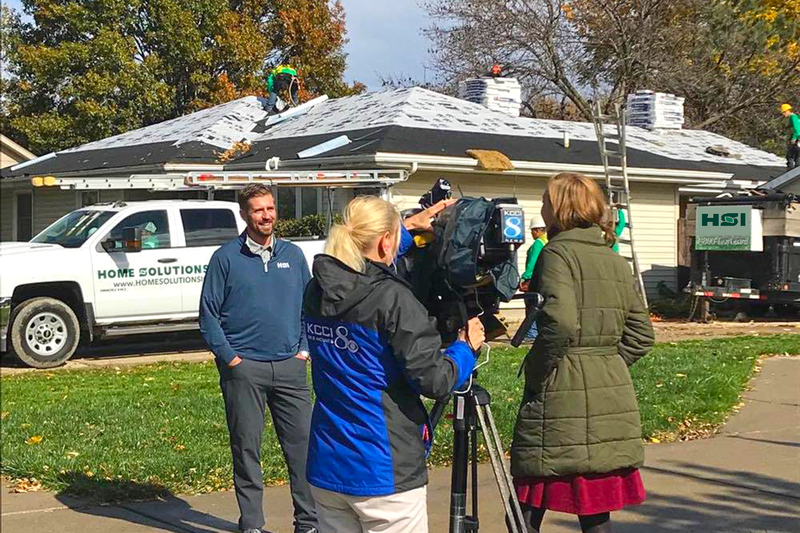 Home Solutions of Iowa was happy to be able to provide her with a reliable roof that will last a lifetime. The installation and celebration were a huge success. The community was invited for a luncheon and despite a few rain-drops early in the day, eventually the sun shone, and it was a great event. In attendance were Adel Mayor Jim Peters, along with Senator Jake Chapman of the 10th district. Additionally, several news outlets showed up to interview Tricia. “We are very pleased with the success of this initiative that has brought so many members of our community together. It was great to celebrate with everyone who made this possible,” said Joe Smith, owner of Home Solutions of Iowa.